Group oraganizer or Travel agent? Seating in pairs (side-by-side) is guaranteed except in the “single ticket” category. For seat combination of 3 or more together, please contact us, otherwise, we guarantee seating in pairs & we will do our best to make them as close as possible to each other based on availability. International deliveries are highly not recommended and we offer several local delivery methods (in the country & city of event) that can fit your requirements easily. 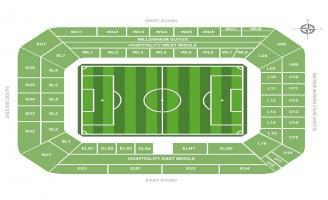 Tickets format can vary (plastic member cards, paper, eTicket, stadium collection etc.) depending on the event and seating category assigned.